Come, Explore & Enjoy the different dimensions of Service / Seva @ NavUtthan……. Education for children from economically compromised section of society. Food and Clothing for the Needy. 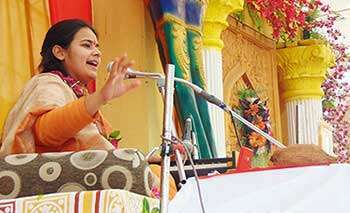 Our Gracious Devi Richa Mishra Ji believes that mankind is one religion, and all religious practices from all religions need to be respected. Lord Shiva Hindu Temples Hoogoorddreef , Amsterdam , Netherlands , Europe. Devi Ji, is also involved in numerous charitable activities including running a residential school for poor children, who will get free education and the institute follows a great Indian tradition of Guru-Shishya parampara. Copyright @ 2017 Navutthantrust. All rights reserved. Designed & Developed by Troika Infosystem Pvt. Ltd.